Added by thronn on August 29, 2013. Chris Cole was the big winner today in Newark, New Jersey. 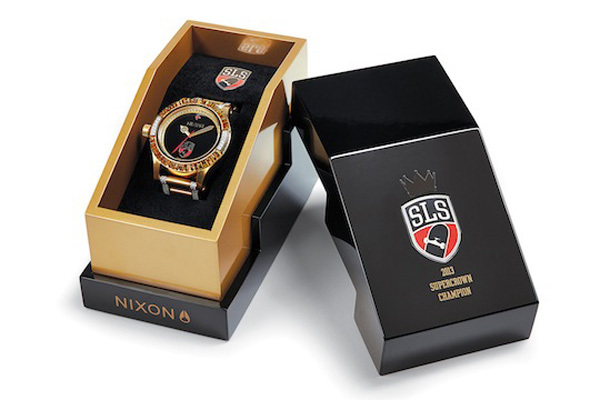 He won the Street League Super Crown season finale, 200,000 dollars and the championship Nixon watch and ring. It was down to the wire with Paul Rodriguez. Cole nailed a kickflip backside noseblunt-slide, fakie ollie frontside bluntslide, and a backside 270 to noseblunt-slide giving him extremely high scores in the Impact Section. It was up to Paul and his last try to best Cole. 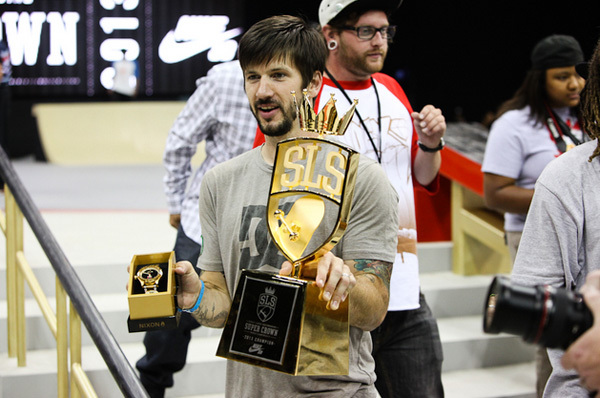 P-Rod went for a switch kickflip backside tailslide down the hubba but bailed it. This was Chris’ second win this year (first one was in Munich).